Columbia Concrete Co. is the premier provider of both residential and commercial concrete services in the Columbia, MO area. We offer a full line of concrete services and will work with you every step of the way to ensure that you are left with a product that looks great and stands the test of time. Form slab concrete patios to polished concrete driveways, there is nothing that Columbia Concrete Co. cannot handle. Our technicians are leaders in the concrete industry and have the experience and know how to produce an outstanding concrete project. If you are looking for a concrete contractor in Columbia, MO look no further. We have been in the concrete industry for many years and know how to handle any and all projects. We provide both residential and commercial concrete services and customer satisfaction is our number one goal. We can have one of our concrete technicians out to your home or business to provide a detailed consultation and estimate within a day or two. We may be able to do it the same day in some instances. Columbia Concrete Co. is looking forward to handling all of your concrete needs. We realize that you have many options when it comes to finding a concrete contractor in Columbia, MO. We are confident that you will be thrilled with the level of professionalism and expertise that you will receive from Columbia Concrete Co.
5 Reasons Why You Should Hire Columbia Concrete Co.
1. We specialize in Concrete Flatwork. What does that mean? It means we eat, sleep, and dream about concrete driveways, patios, walkways, and stairs. Sure, we might not offer as many services as some other concrete companies, but that just means we can concentrate all of our energy on what you need. And we don't just pour a bunch of concrete and run away. We make sure we are pouring the right kind and mix of concrete that is appropriate for your property. A lot goes into making a long lasting driveway or patio. We know all the tricks and have all the tools to leave you with a clean, attractive slab of concrete that will last for years and years. 2. We offer FREE ESTIMATES. That's right. We will come to your property, often on the same day you call, and provide you with a no hassle estimate of what it will take to complete your project. Not sure exactly what you need? No problem. One of our highly skilled technicians will help make this process as easy as possible. We will hold your hand the whole way. Not happy with our pricing? Also not a problem. Our free estimates are just that...free of hassle and cost. Call us today and we can get started TODAY! 3. Our employees are skilled and experienced. Our project managers are some of the best in the area and have been in the concrete business for a long time. They have seen and done it all. We do not just hire any old bloke from off the street. We run all of our employees through a very thorough background check to ensure that you can feel safe with our employees on your property dealing with your family and co-workers. You can rest easy that we are only sending the very best to your home or business. 4. We offer both residential and commercial concrete services. So whether you need a large driveway leading up to your storefront or a decorative patio to complete your backyard living space, Columbia Concrete Co. is your go to concrete contractor in the Columbia, MO area. 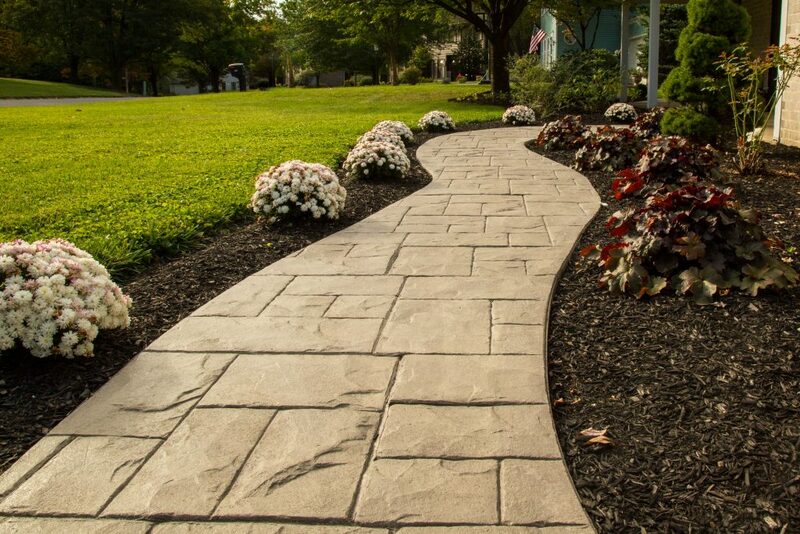 We build driveways, patios, walkways, sidewalks, and stairs/steps. 5. Our prices are extremely fair. Sure, you might be able to find a cheaper company to satisfy your concrete needs, but at Columbia Concrete Co. we are confident that for the price you pay, you will be extremely pleased with the level of skill, professionalism, and job quality that you will receive. Not happy with any part of the process? Let us know and we will make it right. Customer satisfaction is our number one priority and we will bend over backwards to make you happy. Well, Jack has a bad back, but he will still be smiling and doing whatever he can to make you happy. Ha!